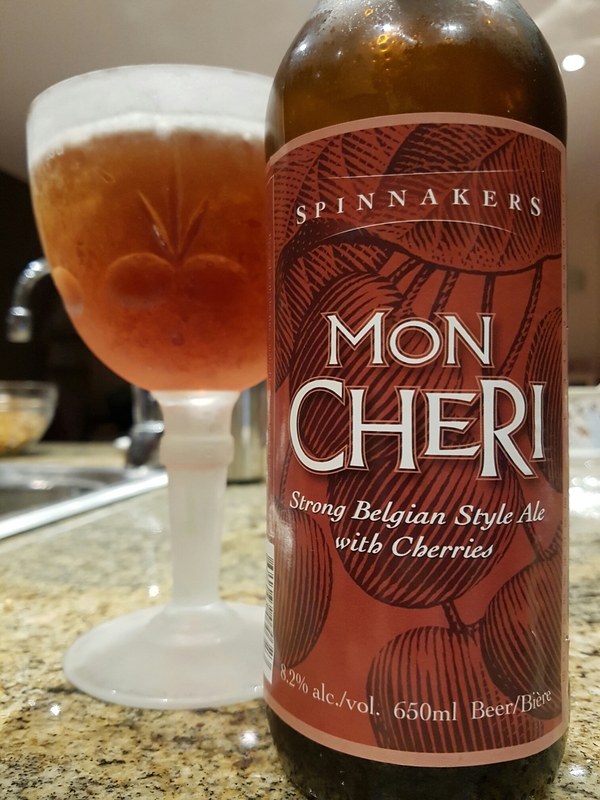 Mon Cheri – Spinnakers Brewpub (Victoria, BC, Canada) | Justintoxicated. Visual: (cellared for 4 years). Pours opaque cloudy red currant colour with barely any head, very thin ringed retention, suspended micro sediment, just a few bubbles here and there. 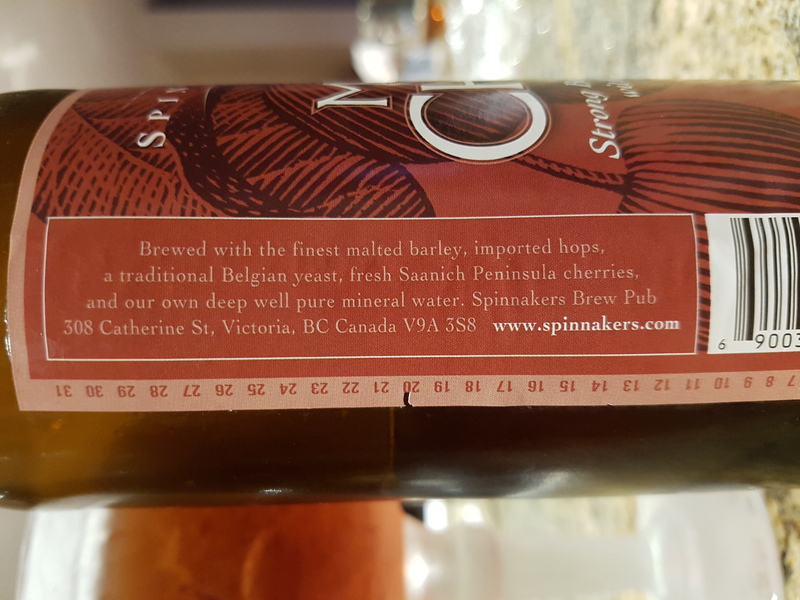 Summary: The cherry fruit flavour is underwhelming and the Belgian ale profile is short and unremarkable – put them together? No surprise, nothing special. It’s drinkable at least for 8.2%.